After we lost our first baby, it took me a month to get out of bed. Once I got finally got moving, I needed to throw myself into learning new skills or I would not have been able to survive the gruelling months that followed. One of my projects was learning how to make Indian food. I don’t care for half-assed curries with a bit of cumin and maybe some turmeric; I must be blunt and tell you that straight. Give me curry leaves and methi or give me death! I love the alchemical quality Indian techniques feel like they have – the combination of vibrant spices, ginger, garlic, onions, and tomatoes all resulting in an incredibly varied and magical cuisine. Of course, there’s also the world without onions and garlic, too! Sometimes as an outsider, the somewhat idiosyncratic use of the English lingua franca can make following the recipes a tad difficult, but eventually one gets the feel and breaks out on their own, or at least that’s what’s happened for us. I even developed a hack, which I often use in my curries. You’ll often start a dish with onions and then add a garlic-ginger paste followed by tomatoes. I blend my tomatoes, garlic and ginger together ahead of time. It eliminates the risk of burning the garlic paste, among other benefits. I do soak the whole mung beans, as I’ve found they cook down into a silkier end product when I do. Ambrose loves to run his hands through the bean filled water, so that’s just a sensory bonus. This curry was Ambrose’s first favourite meal. I don’t make this very spicy, though I don’t hesitate to add the chilies, either. We started introducing Ambrose to chilies in small but increasing amounts around nine months and he’s a fan of foods with a fair amount of heat now at a year old. I make this dal for him every so often, but it’s taken me ages to actually sit down and figure out a relative measure of things because it’s very intuitive for me at this point. We love this dal. Set the mung beans to soak overnight. In a blender, whiz together the tomatoes, ginger and garlic. Set aside. Drain the mung beans and add to a pot with water covering by about 10 cm (4 inches or so). Add the blended tomato, ginger as well as the chilies, red onion, turmeric, chili powder, and salt. Bring to a boil, once boiling turn the heat down to low, pop on a lid and let simmer without stirring for about an hour. Once the lentils are soft, get ready to make the tadka. Over medium heat, in a small pot or mini frying pan, heat the tablespoon of coconut oil. Working quickly, add the mustard seeds, red chilies and cumin seeds, if using, until they begin to crackle. This will only take a few seconds. Finally add the curry leaves and fenugreek leaves. Pour the whole thing into the pot of mung beans. Add the garam masala and stir. Taste for salt and adjust to your taste. Top with cilantro and diced red onion, or a chutney of your choosing such as coriander. Enjoy with rice, paratha or whatever you like. We use Thai green bird chilies. I really can’t figure what the Indian green chili is called and the Thai peppers are readily available. They are hot, if you have not used them. Start slow. Kashmiri chili powder is a mild chili powder that imparts a lot of colour and a slight paprika-ish taste. I bet a little (fresh) paprika powder wouldn’t be totally out of place but please don’t hold me to that because I would never do that myself. It is definitely not like the vague taco seasoning Mexican type chili powder, so don’t use that. Here is an article from Saveur on Indian chilies and possible substitions. Ah, curry leaves. Not the ubiquitous (and occasionally dubious) curry powder, my friends. They are a funky little leaf that impart magical properties to food. I buy mine fresh (for a $1 a bunch !!) and seal them up in a ziplock and keep them in the freezer. If you can’t find them, I’m sorry. Just leave them out. I bought my own curryleaf plants from Richter’s Herbs. A tadka (tarka and probably a million other variation I don’t know) is a finishing technique that involves blooming spices, seasoning and herbs in oil. Signing up for a CSA box has made my summer so much better than usual. I love the weekly inspiration and impetus to do more. My bits of free time are precious and cooking makes me feel like myself. Leading up to giving birth, I had a lot of anxiety about losing interest in my passion and therefore my identity. Parenthood is all consuming and certainly world-shifting, but with care and support, you can still be who you are! Don’t get me wrong, I like to read about car seat safety as much as the next person, but I also have a firey intense need to get my hands dirty in the kitchen! Inspired by Sandor Katz and The Art of Fermentation, I try to have something fermenting somewhere in my apartment at all times. I try to bake once a month. I make a new recipe at least once a week. And I continue to occasionally pickle in vinegar, which brings us back around to my CSA box! The perfect opportunity to preserve the best that Ontario’s summer has to offer, really. That also means my sweet baby gets to try all that our farm has to offer and that makes me incredibly happy. Garlic scapes are a mild, vegetal, and bright part of the garlic plant that comes up in late spring here (far right of the above picture). You can use them anywhere you use garlic. I had more than I knew what to do with, so I made a litre of fridge pickles. One jar for us, one jar for a friend; which is a pretty strict policy of mine when it comes to preserving. I would use these pickles chopped up in sandwiches (like chickpea salad! ), on top of dal and maybe even as a fun addition to a coriander chutney. They do take six weeks in the fridge, so sorry these are not exactly seasonal anymore, but I have very little time so this is as good as it’s going to get for now. Clean and dry two pint jars. Divide the spices, curry leaves, ginger, and chilies evenly between the two jars. Coil the garlic scapes in the jars, packing as tightly as you possibly can. In a small pot, bring the vinegar, water, salt and jaggery just to a boil. Pour the vinegar mixture over the garlic scapes until they are covered. Depending how tightly you’ve packed the garlic scapes, you may have vinegar mixture leftover, which is fine. Label, screw lids on and tuck away into your fridge for six to eight weeks. Notes: If you have access to fresh curry leaves, I urge you to take advantage! They add so much to tadkas. You can store them in the freezer. I’m actually growing two curryleaf plants this year; that’s how much I love them. Some might say you should sterilize your jars before using them like this, but I really do follow the school of Sandor. Clean is good enough for me, though feel free to sterilize them if you’re more comfortable with that. Sometimes it feels like I haven’t been clear enough about my position on diets because perhaps you’ve never wandered over to my accessibility tab. In case it’s not obvious, there is a trigger warning associated with this post regarding diets and disordered eating. My natural position has always been one of balance but I have gotten lost many times over the course of my life. I grew up being viciously belittled by my mother about my weight for as long as I can recall. I remember being seven, stepping up on the toilet seat to look at myself in the medicine cabinet mirror that swung forward and hating what I saw. I felt shame and terror and disgust at the sight of my body. Once I got to eighth grade, at the advice of a family friend, I started to only eat an apple a day, foregoing all other meals. Then I ate again and my metabolism went haywire. There were a couple diets my mother thought were good ideas to encourage teenaged me to try, like the cabbage soup diet. Your participation in diet culture allows abuse like this to continue. I stopped eating again when I moved to Montreal for lots of reasons; mainly control-related ones. Then my best friend died along with a whole slew of other terrible things and by the time I emerged from the extreme bereavement and trauma in my new stable life, I didn’t recognize my physical self. Six years later, sometimes I still don’t. I struggle. I feel guilt for carrying the (not so) new (anymore) fat. I feel still feel shame for “letting” it happen. I logically know I didn’t let anything happen; it’s what my body decided to do but the cacophony from the world around me is endless, screeching, irritating, and overwhelming. I ask that you please get off the merry-go-round of body shaming, self hatred, and fatphobia. There is no such thing as sustainable weight loss. Why is there always a new fad diet that promises just that? You know that diet that you tried, lost weight and then gained it back (and then some) because you fell off the horse? You didn’t fail – it did. They all do. Just stop. Make a decision right now to stop participating in a multi-billion dollar industry that is designed to make a profit out of you hating yourself. Can you imagine for one moment how much collective energy we’d have if we stopped devoting so much thought to making ourselves (and other people for goodness sake) smaller? What if we started caring about things that actually mattered and assigned value to ourselves based on qualities and actions that improve the world around us? Do you realize the negative effect you have on the world around you every time you mention your new weight loss plan? Some of the strategies I have in place are to avoid magazines and bloggers that do not show a variety of body sizes in a positive manner, watching less TV and movies, and ignoring all diet talk. Fill up those spaces with people and ideas that reinforce your commitment to moderate life and a healthy relationship with food and movement. Make a promise to feed yourself in a healthful manner and move your body in ways that feel good to you. Love yourself enough to keep that promise to yourself. I have to renew this promise every day. This post is materializing because of a mishmash of several motivations: me itching to use my new Nikon, the fact that purees have been a tremendously fun thing for me, and a desire to get back into writing. Introducing my baby to as many flavours as possible before neophobia sets in is incredibly important to me. We struggled for eleven brutal weeks to finally find our groove breastfeeding. While I’m beyond grateful that we finally got there, I’m also grateful we’re at the solid food stage, too. It’s been a true pleasure for me to share my love of fresh food with my son. We also have some concerns about the genetic factor in food allergies and early introduction is recommended now. Our allergist has had us introduce all the major allergens and A will go for a blood test later this week to see if anything comes up positive. Right after introducing solid food, he started getting hives to pretty much everything which was terribly confusing but hilariously it turned out to be his very sensitive skin reacting to the straps on his high chair. So far, it seems only that mango and peanuts are on the possible list. Even if they’re a positive, I think that’s manageable compared to Devon’s list of allergies. In the year and half I’ve been on hiatus, I’ve often thought about what blogging means to me. I’ve always found it a struggle to strike a balance between what I think is an appropriate tone for something as public as The Leafy Cauldron and who and how I really am – and most of all how I feel about food. The truth is, blogging gets on my nerves. Food trends and fad diets are disheartening, I think most vegan food is trash with no signs of improvement, marketing and playing the game to get online attention make me sick to my stomach. And not that I really know what I’m doing (seriously I have no technical understanding of photography and had basically intuited all aspects of the manual setting on my old Canon Rebel) but au courant food photography is overexposed and almost all looks the same. I have often slipped between using I and we, as way of diverting attention from myself. Mostly I’m stumbling on words to say I’ve found it difficult to feel like myself because I feel like I’m writing for a hypothetical audience rather than for myself and I didn’t want to appear to be throwing any shade in anyone’s direction with my constant frustration. 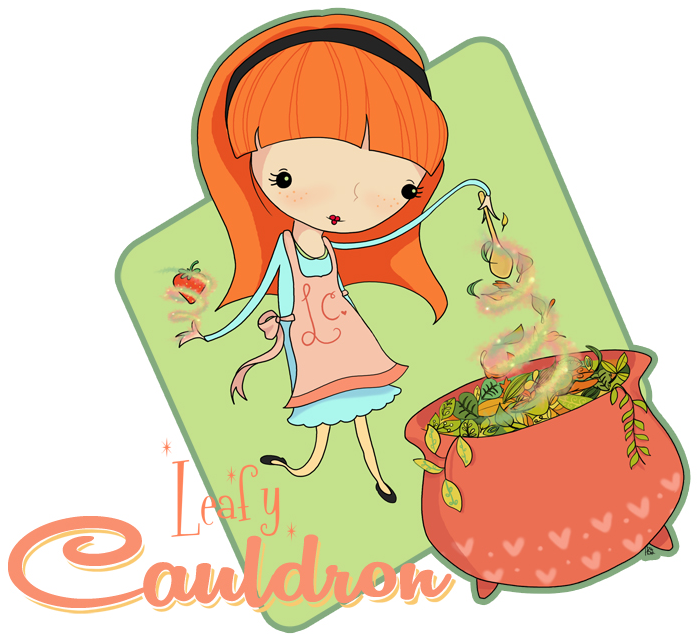 The Leafy Cauldron has brought me into contact with some tremendous people; my dear friend Siobhan from back when I slugging along on Tumblr and we were strictly a Harry Potter food blog and Janet from The Taste Space who reached out when Devon and I had just moved to Toronto. I am so grateful for the real human connections food makes us all every day. Yet, I slowed down and eventually stopped writing. I would never stop cooking – it is integral to my existence as a human being. Food is everything for me. It’s how I relieve stress, express my love and my creativity. In fact, after I stopped blogging I have honed my skills even further in the kitchen. I am more adept than I’ve ever been and that’s saying a lot for someone who has been endlessly cooking with love since they were eleven. I love food and I love sharing it with my whole heart so I want to do better. A lot has changed since my last post, both personally and in the world around me. On a personal level, we (briefly) went through fertility treatments which (incredibly on the first shot) led to my son, Ambrose, being born in October of 2017. He is amazing. Parenting is incredible. I am filled with light and love. I am so excited to see who he grows up to be. I take my job seriously and I will do everything in my power to have him grow up to be a luminary human being who is empathetic, generous and careful. I know I don’t possess much power in this world (and it’s so, so, so hard not to be pessimistic) but I can preserve this bit of our lives and hope that it brings some joy to others. As I’ve gotten older, I’ve felt like less of a revolutionary (socio-anarchism anyone?) and have shifted my focus to bringing about positive change to my community. It works for me and helps keep my chin up in what feels like a world that is slightly out of control. So, with my new camera in tow, I’m revving the engine and getting this thing going again! I thought perhaps I’d share a little of the fun baby food I’ve made for Ambrose, maybe a bit about the local farmer’s market I keep unsuccessfully trying to contribute positively to, and definitely some recipes!